STEM stands for Science, Technology, Engineering, and Math. It is a specialized type of education/learning based on its users interacting with the real world and tackling real life problems across all 4 STEM fields. STEM learning from very young ages is becoming a hot parenting topic these days. And for a good reason, if I may add. 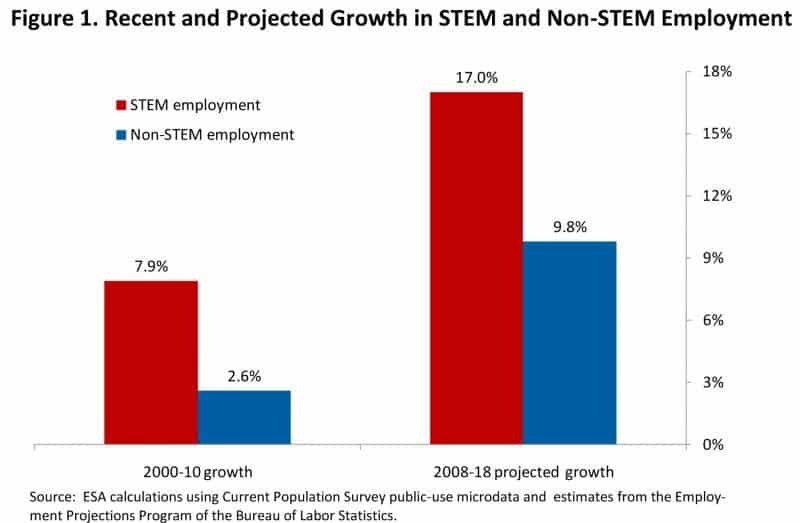 You see, the projected growth of employment rate across STEM fields stands tall at 17%. That’s a huge increase from 2000-2010 period where the growth was close to 8%. With that said, it comes as no surprise to see parents encouraging their children towards STEM learning as it could shape up their entire future. But what exactly does STEM learning/education mean? Does it have anything to do with drones for kids? 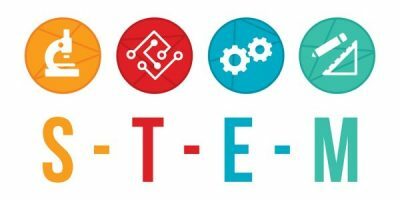 What is STEM learning ? What is Flybrix lego drone kit ? How to make a simple drone with Flybrix ? As I have already stated above, STEM stands for 4 fields – Science, Technology, Engineering, and Math. STEM education, needless to say, is based on these fields and implements them into the+ curriculum… But in a much different way than conventional education does. Instead of focusing on theoretical knowledge with little to no practical matter, STEM education brings practical (real life) problems to its students and emphasizes project-based learning. STEM learning is driven by the students’ connection to the real world without the unnecessary theoretical knowledge. The theory is still present but is narrowed down to the current project at hand. This approach relieves children of information clogging and allows them to focus their minds in order to overcome practical problems that could appear later in their lives. For example, students are told they must make a surveillance drone within a certain budget. The drone also needs to follow several rules – it must have a minimum 50 miles range and minimum 2 hours of flight duration. By tackling such a problem, students will be forced to thin out of the box and use every piece of information they can learn in order to make a proper balance between budget, flight duration, range and several other factors such as weight, build material, durability and so on. You see where I’m going with this? And this is just the tip of the iceberg that is STEM education. There are many other approaches that also yield much better results than traditional efforts. For instance, robotics is also a fine way to start teaching children the basics of STEM learning. However, STEM education facilities aren’t that widespread and can get pricey depending on where you live. But don’t worry, your children don’t have to necessarily go to a specialized STEM training facilities. Nope! You can do it all from the comfort of your own home. How to start with STEM learning? Well, perhaps one of your first projects could be making a simple robot with your kids. Since this is a drone-related website, heck, how about your first project being a DIY drone kit for kids? Flybrix is a good starting point. Let’s talk more about that! Flybrix is a STEM learning platform used in numerous STEM education facilities. It allows children to tackle the process of creating their first RC controlled device. Even though the creation is, in its all might, fairly simple; it’s the process that matters. Best of all, these DIY drone kits for kids aren’t too hard on your wallet. Come to think of it, drones are now cheaper than ever. As a matter of fact, you can get brilliant drones for kids for as little as $100. A couple of years ago, such a price tag would bring you an unusable device which would fall apart in a matter of days. Still, with price drops and a huge amount of competition, there are drones which aren’t worth your money so make sure you do enough research before you buy one. If your motivation is to buy a mini drone for kids, then I’ll be happy to help you. As a matter of fact, I will take things a step further right now and tell you everything you need to know about Flybrix. What comes inside the Flybrix package? 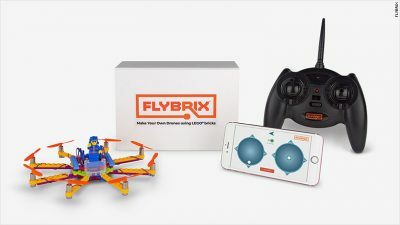 Flybrix is essentially an interesting drone kit for kids that can effectively teach them the basics of engineering and technology. Parents who know their way around DIY drone kits (if there are any) will probably think drone building from “scratch” is a difficult task as it usually requires lots of soldering and carefully placing all wires into their designated pin holes. However, Flybrix is not complicated at all, but we’ll talk more about that down below in the How to make a simple drone section. Inside the package, you will get lots of specialized Lego parts which can be built in several different drone designs. On top of that, Flybrix also provides with a total of 8 motors, allowing the creation of quadcopters, hexacopters, and even octocopters. However, there aren’t any physical instructions that would teach your children what part goes where and how to properly set everything up. Instead, you’ll get a brief user manual that will point you to a website with comprehensive step by step guides for all 3 drone variations. They are all based on an entry-level flight controller that incorporates a plug and play schematic for easier STEM learning. What I am basically trying to say here is that these drone robot kits will not only keep your kids entertained but will also develop their STEM skills (science, technology, engineering, and math) which are of crucial importance according to YD (youth development) experts. And best of all, lego mini drone kits can be fun for both you and your children. Take Flybrix as the perfect example. In fact, let’s see how can Flybrix help your kids make their very own drone. The process of building your own simple drone with Flybrix is actually incredibly simple. You see, this drone robot kit doesn’t require any soldering and as far as the wiring is concerned, it is as difficult as a standard box of puzzles. That’s because everything is done via proprietary plugs and pins which make the task at hand much easier for children of all ages. The first thing you should do is start off with the frame of your drone. Of course, I am referring to the flight controller which can sit comfortably in the middle of your creating. In fact, go ahead and place that Lego figure on top of it for extra style points. After you’re done with that, move onto the “arms”. You’ll notice they all have circular holes at their tips which is where you’ll place those tiny motors you got in the package. Another thing worth mentioning is the fact that you can either go for the standard version of Flybrix that comes without a controller or the Deluxe which comes with one. There are 2 versions, however, one comes with JC-S and one with JC-2 controller. The differences aren’t too drastic but are definitely worth checking out and paying that extra bit of money for full tactile feedback which they provide. The first thing you have to do is install the Teensy Loader program. Keep in mind that you only need to install the program alone without any supporting packages. Connect the flight controller to your PC via USB cable and make sure it’s connected to a fully charged battery. Visit Flybrix Firmware Page on GitHub and download the latest .hex firmware file for your flight controller. Load the .hex file through Teensy Loader program and press the PROGRAM button on your flight controller. It is located right next to the mini USB port. Then, press the PROGRAM button on Teensy Loader. You will notice a loading bar appearing. It should complete without any errors. The last step – simply click reboot button on Teensy Loader and your flight controller will reboot with the newest firmware successfully installed. If you happen to get an error during the installation process, the problem is most likely with your USB data cable. Try repeating the process with a different one. If that does not work either, then I suppose you should send an email inquiry to Flybrix. Lastly, depending on the firmware you installed, you will be greeted with a different LED color schematics after the reboot. For example, at the time of writing this article the newest firmware release was version 1.5.0 which sports the combination of purple and red LEDs. Flying V delivers a totally opposite construction than that of Juggernaut. Instead of focusing on sturdiness and low center of gravity, Flying V sports an extremely lightweight design which helps the quad fly faster and maneuver quicker. Juggernaut is one of 2 most popular quadcopter variants that are possible to make with Flybrix drone kit for kids package. It packs a lot more pieces and provides a much sturdier design that won't break apart that easily. If your children are building their own drone with Flybrix for the very first time, I suggest trying out with one of the 2 designs shown above. They are both easy (and fun) to make which will bring a lot of satisfaction not just to your children but to you as well. After you’re done with placing the motors on your construction and plugging them into the flight controller, you are pretty much good to go. All you need to do is connect the battery and tightly secure it onto your creation. 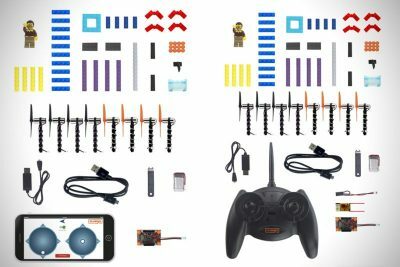 After that, you’ll get to pair up your drone with your smartphone (there’s a dedicated app available for this) or use the provided controller if you went for the Flybrix Deluxe packaging. And that’s about it – it shouldn’t take you more than half an hour for the entire build… and I’m talking about the most complicated variation with 8 motors. Are there other drone kits for kids available on the market? Don’t worry, if Flybrix is too expensive for you, I’m happy to inform you there are cheaper alternatives as well. They’re not necessarily drone-related but oriented more towards general robotics… but they’re fun, and most importantly – they are STEM-learning friendly. So, without much further adue, let’s take a closer look at 3 alternatives to Flybrix that will keep your kids playing and learning at the same time! Out of these 3 alternative packages, only Top Race TR-D5 specializes in drones. 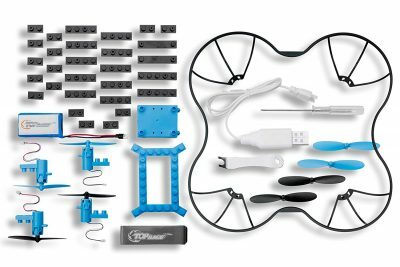 This drone kit for kids consists of whopping 54 interchangeable pieces and is primarily targeted at kids older than 14. First thing I’d like to state is that the construction as a whole is much more sturdy than that of Flybrix. However, the building process is not nearly as intuitive but is still rather simple. Unfortunately, the package lacks spare parts which means you’ll have to do some research to find them in case you accidentally break something. On the bright side, there are lots of customization options and, believe it or not, these little DIY drones are actually quite powerful. Top Race TR-D5 is powered by a 1S LiPo containing 600mAh which is capable of providing up to 8 minutes of flight time. Furthermore, the motors (unfortunately, there are only 4 that come with the package meaning you are limited to a quadcopter design) have solid power and are able to, in combination with the battery, lift up one of those small FPV all in one camera systems that weigh just 4-5 grams. Of course, you’ll need an FPV monitor as well, but that’s a story for a different occasion. For now, I’d just like to make one thing clear – if you want to encourage STEM learning for your children but consider Flybrix too expensive, then Top Race TR-D5 is the way to go! 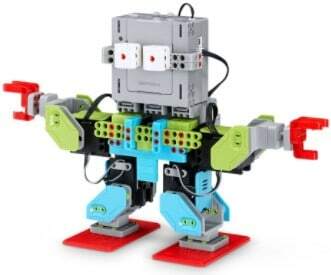 It’s much sturdier and more powerful than Flybrix, but lacks extra parts and limits your children’s design imaginations to just one single design operating with 4 motors. MakeBlock DIY starter kit is designed for children over 14 as well but looks to be a much more sophisticated learning platform. Mind you though, this is a much more comprehensive platform with a steeper learning curve that will push your kids’ abilities to their maximum. This entire STEM learning platform is based on a particularly learning-friendly Orion main board which works on Arduino Uno. WIth 8RJ25 ports as well as soldering-free wiring, your children will have less work with electricity and more with programming. More precisely, MakeBlock kit allows many different programming software. Besides Arduino, there is also Scratch, Adublock and MakeBlock’s mBlock, so there’s plenty of options for your child’s programming skills. As I’ve already stated above, this is a much more sophisticated robot kit that will require more hours to be completed. Remember when I told you that Flybrix takes roughly half an hour to complete? Well, MakeBlock will take at least 2 hours to get the mechanical part done… unless you’re a hidden gem. But, during all that time, the process is being developed in a pro-learning environment that will have a big effect on your children. They will learn a great deal about how electronics work. Plus, you won’t believe the happiness once they get everything done in a few hours and start running around the house screaming from joy. It’s a priceless feeling, I’ll tell you that. Last but not least, we have another great STEM learning platform for kids. This time around, the creator is UBTECH and they’re bringing us a massive variety of available models. Keep in mind though, we won’t be focusing on a single one but rather give you a general opinion on the all of them. They’re all based around the same idea with slight variations in design and functionality. With that said, you’ll find Jimu tanks, buzzbots, penguins, dinosaurs and plenty other options. There’s something for everyone, don’t worry! As far as the DIY process is concerned, UBTECH will provide you with detailed step-by-step instructions straight from your smartphone or tablet. The instructions are clear and precise, allowing your children to learn how to follow exact steps in a learning-friendly environment. When it comes to the programming part, UBTECH’s main boards can be dealt with by using Swift or Blockly programming software. Blockly, for instance, uses a graphical interface that will allow your children seamless programming process with an intuitive and children-friendly design. Once they are completed with their creation and are ready to pair it up with the app, everything that’s left to be done is tapthe Bluetooth button and the pairing process will start up. 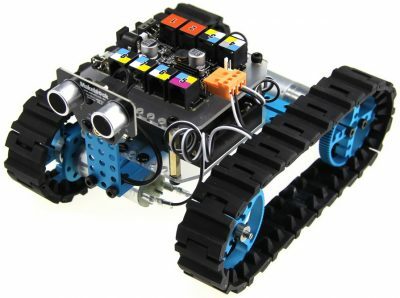 All things considered, UBTECH is still on top of the “DIY robots for kids” niche and looks to be focused on remaining there. With a huge variety of available models and a rapidly growing community, I doubt any other competitor will get in the way. At the moment, I believe you can get these Lego kits from Amazon. However, if you are interested in your children taking up more comprehensive projects feel free to make an order from micro-motor-warehouse as they have AU shipping.